Having been the owner of vacant farm land for approximately a whopping two months now, I'm certainly no expert when it comes to owning property. But, David and I did go through the purchasing process and (we think) completely vetted all of our options and exhausted all of our resources during that time in terms of performing due diligence and making sure we were buying the right thing. Plus, I'm a real estate attorney, so my professional background gave me a lot of insight into the process, as well. A few of you have recently emailed me asking for tips for buying vacant land or property, so I thought I'd compile my notes and thoughts for you guys! FYI, we found our land for sale on Zillow- it was for sale by owner. A local farmer was retiring and splitting up his 150 acre tract into 10-20 acre tracts for single-family homeowners. We got lucky with this piece, we think it's the best in the area! Once we negotiated the price and contract, we started the due diligence period, which is basically a "free period" you have to research the property. If you find something you don't like within the due diligence period, you can walk away, have your earnest money refunded and the contract is off. We gave ourselves three weeks, which is a minimum. Try to negotiate something more like 30-60 days into your contract period to conduct this due diligence if your seller is willing. But definitely make sure you have a due diligence period- you need some time to research what I describe below! Keep in mind that while I'm a real estate attorney, I'm not giving this advice as a professional real estate expert. Another caveat is that a lot of the information I have may be limited to how things work in Georgia, since that's where we bought property. The third thing I want to throw out is that this list doesn't encompass the actual build process at all- this just covers shopping and purchasing vacant land. 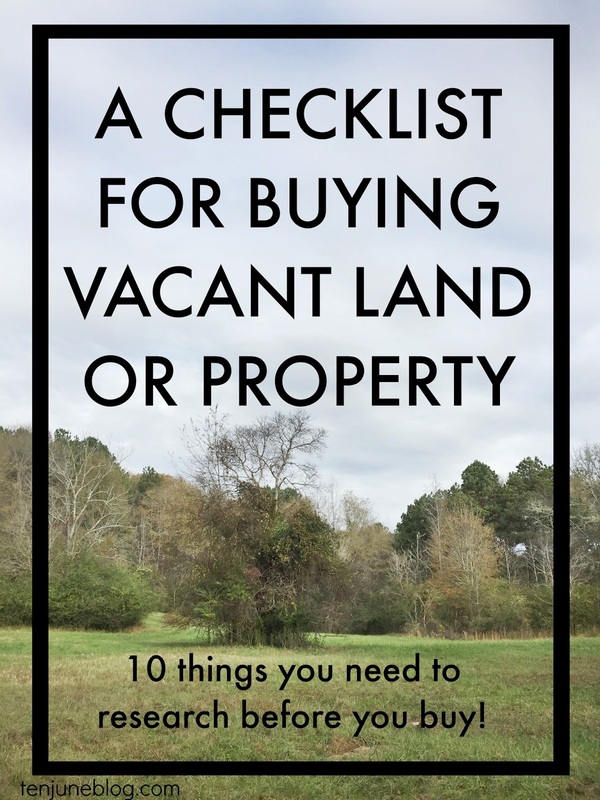 But with that being said, in no particular order, here are ten things you should research in your due diligence before you buy vacant land or property. 1. Pick a trustworthy team, including a builder, an architect and/or a contractor. Step one for us was to get a few people to help us navigate this process. A huge blessing we have is that my uncle is a talented, renowned architect in Atlanta and he is helping us design our home. We're also working with a builder that he works with and that I know through my real estate profession. Now that we've got this team together, we have folks we can email questions to or run things by as we go through the building process. It makes a huge difference to have smart, trustworthy people to turn to! 2. Ensure the land you're looking at has a proper building site. One of the most important things we did after we first found our property was to ensure that there was a good site to build a house. Would we have to do a lot of site work to put the house where we wanted? Was there enough slope to build in a daylight basement? Would we have to spend a lot of money grading the land and taking out trees? Was there a good place to put a driveway? We asked our builder and architect to take a look at the site to generally answer these questions for us. Luckily, they affirmed for us this was a good piece which would need minimal site disturbance to build the house. We also clarified with the county that we could put a driveway onto the main road from the spot we wanted on the property. All signs pointed to yes for us! 3. Conduct a soil test. It's very important to hire a professional to conduct an examination of the soil to determine if it's able to house a septic system. Most counties will require evidence of this test and proof the soil passes all the right tests before they issue a building or development permit. 5. Plan ahead and research your financing options. In full disclosure, we'll have three loans throughout the course of this process: a land loan (to buy the land) which will roll into a construction loan (to build the house) which will then roll into our permanent loan (which is like a regular mortgage on a house). So we reached out to multiple local lenders to find out their terms for each of the three loans to make sure that, as we process each stage of the financing, we know what to expect. 6. Make sure all utilities are available at the property. Our property is located off of a main road, but otherwise is relatively off the grid. It was a farm animal pasture and vacant woods for the past few hundred years! Of course, we don't plan to stay off the grid, so it was important to us to ensure that we could get power, well water, gas and internet at the house. We called around to all of the local companies who helped us confirm that information. 7. Obtain a recent metes and bounds survey of the property. A survey basically lays out the exact property lines bordering the land. This helps you to determine exactly what you are buying and whether or not there are any encroachments. If your seller doesn't have a recent survey to share with you, it's worth the few hundred dollars to obtain one yourself from a surveyor. 8. Have an attorney conduct a title examination. If you've got a closing attorney, they'll handle the title exam for you. An examiner will go to the county record room and review the chain of title and any "hits" against the property that are current, such as liens, other mortgages, encumbrances, easements, etc. The title exam will show you if any liens need to be released or if you'll be purchasing the property subject to any permissible encumbrances such as a right-of-way easement for a road or a power easement. 9. Confirm with the local school system which school district the property is in. With two little ones ready for school in the near future (H will start kindergarten in the fall of 2017, ahh! ), schools are very important to us. We called our local school system and had them confirm with us the current districts. Once we confirmed we were in a great school district, that pretty much sealed the deal for us! 10. Request an appraiser to conduct an appraisal of the property. Unless you've got a realtor working for you who can verify the value of the property with certainty, put an appraisal contingency in your purchase contract and pay a couple hundred dollars to have an appraisal done. Then, if the appraiser finds that the property is worth less than you have contracted for, you can renegotiate with the seller or walk away. Make sure your money is going towards a great investment! I've said a lot about the due diligence process and how we handled it... what insight do you have about buying vacant land or property? Spill your tips! These are really awesome tips, Michelle. We didn't do everything when we bought our property. While we wouldn't have NOT bought the land had we known things we have learned (like issues discovered digging a well and even installing a septic system), it would have been nice to go into it expecting it. 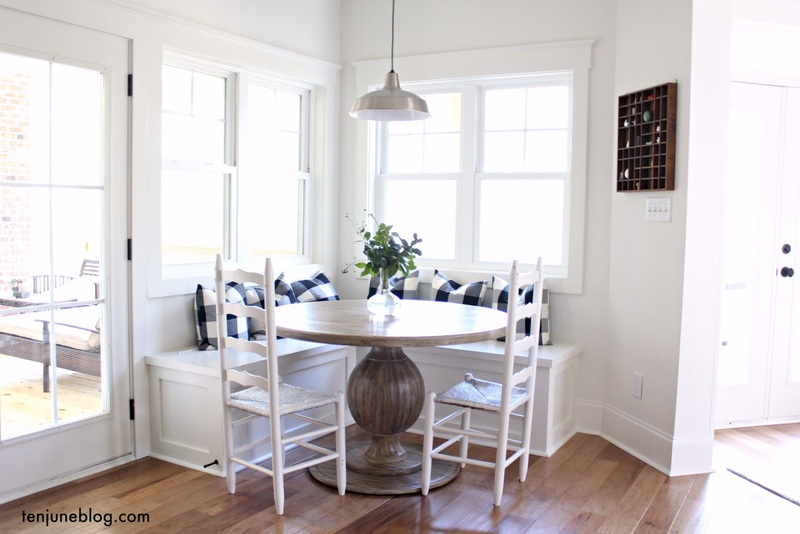 Great Tips, really useful information about buying a property. Every property buyers need to know these things before buying a property. I like the way of your writing. Easy to understand for person like me who doesn't have much idea in property dealings. Nice blog. Keep posting.